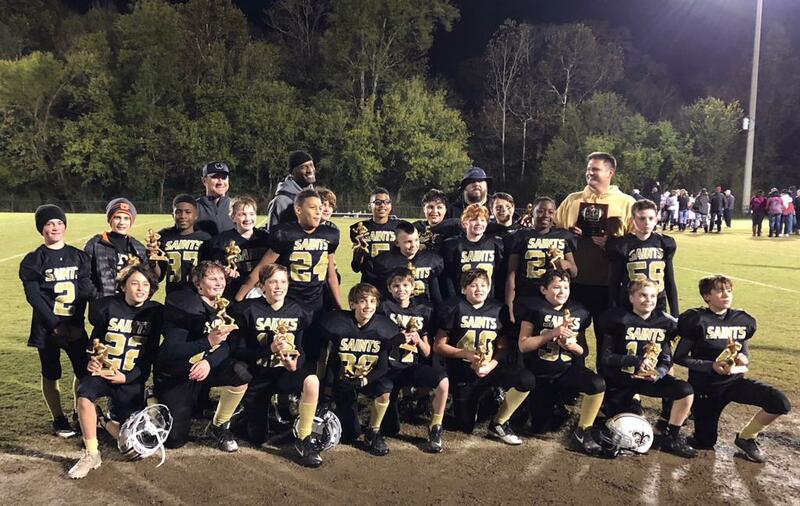 The Saints are 6th Grade OTM Champs! Congratulations to the 2017 6th Grade OTM Football Champions, the Hoover Saints, coached by Billy West! The Saints went undefeated in the regular season with a 7-0 record to earn the top spot in the playoff bracket. They played the Cowboys in the Championship Game and were victorious in a defensive battle, winning with a score of 8-0. Wow, what a run! Congrats Saints!